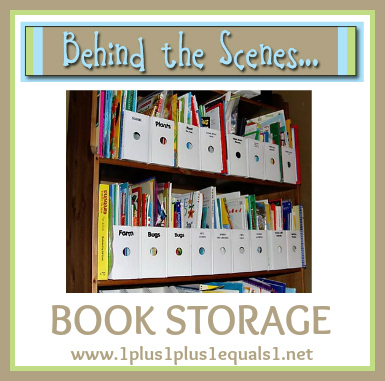 I recently got asked how I store all of our children’s books. This was a very simple answer so I thought I would put it in a Behind the Scenes post! This issue haunted me at first as I had TONS of children’s books even before I began homeschooling. I used to teach Kindergarten and had kept all of the books I purchased myself over the years. Finally, I came up with a solution! I bought cardboard magazine boxes, made labels for them and sorted the books by the general themes or concepts. Specifically, I have these boxes from Ikea, and I used my printer to make the labels, you could use a label making machine or just hand write them! This makes it so much easier for me to find what we are studying at a particular time, or just to find books we want to read! 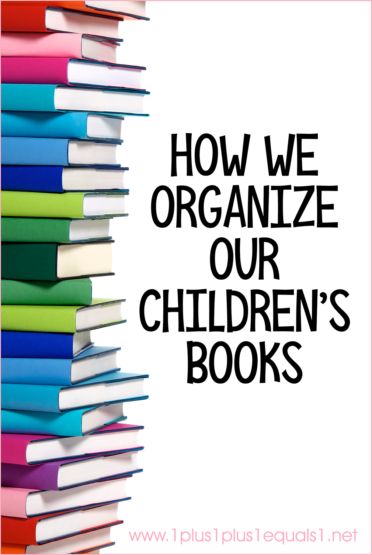 As for my categories of books, I made them based on the books we had, trying to divide as much as I could to make it more simple to find things. I also keep our holiday/seasonal books like this so I can easily pull them down. I usually keep these in a special basket at the bottom of the bookshelf during that particular time so we can read them. I don’t have a photo of it, but at the bottom of this bookshelf there is a shelf with no boxes-it is for Krash’s books. Mostly board books, baby books, and stuff like that. Obviously, those are on the bottom so he can easily get to them when he wants. 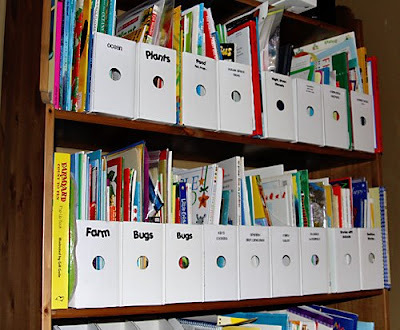 We also have books all over the house, I just keep our main storage here (it’s in our living room). 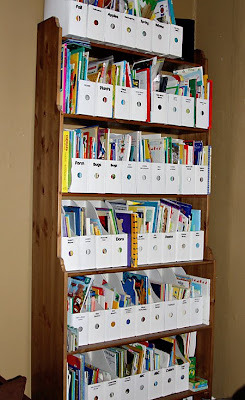 I rotate out books for the boys in their rooms from here. Pac Man is also old enough to find what he is looking for and also help me put books back in the correct boxes- it’s awesome!